Hi, I’m interested in LAPTOP CHARGERS - WIDE RANGE OF REPLACEMENT LAPTOP CHARGERS. Please contact me. Thanks! 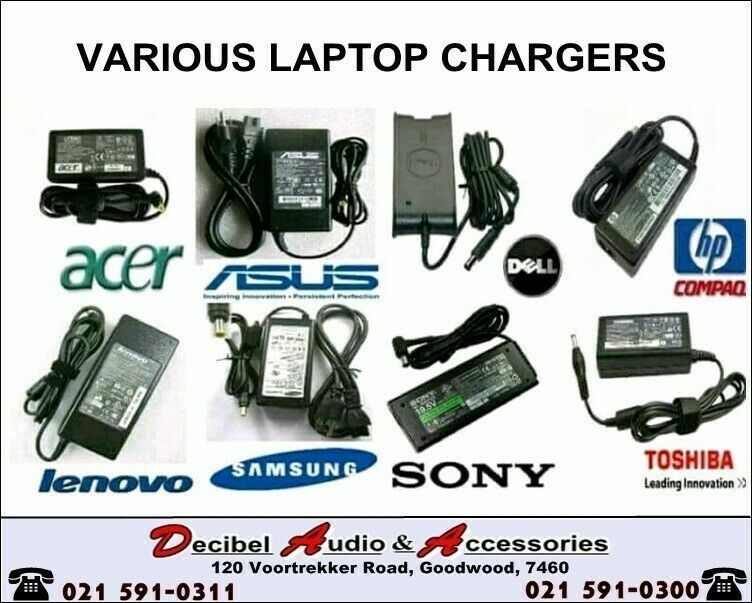 We STOCk a Wide Range of Replacement Laptop Chargers at the BEST PRICES Possible. The laptop is still in good condition and includes an adapter charger. Reason for sale : No longer in needed as I have upgraded. Comes with the charger, the box and the manual. Please no time wasters as this is a serious sale. Please note the bag is priced due to the wear on the carry handle.